Unfortunately, more and more children are being diagnosed with autism nowadays. These children learn differently and therefore require education tailored to their specific needs. Working with autistic children in a learning environment can be challenging. It requires certain skills as well as an infinite amount of patience. 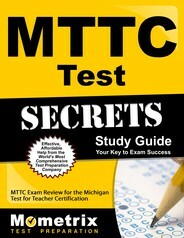 That’s why Michigan requires prospective teachers to take the MTTC Autism Spectrum Disorder Exam. The MTTC Autism Spectrum Disorder Test consists of 100 multiple-choice questions. You must obtain a minimum score of 220 in order to pass. You can choose either paper-based or computer-based testing. In order to pass this exam, teachers must have a firm grasp of various concepts, including human growth and development, characteristics of autism spectrum disorder, developmentally appropriate behavior, educational implications, the effects of autism spectrum disorder on family life and careers, factors that affect development and learning, uses and side effects of autism medication, procedures and tool used to conduct formal and informal assessments, interpretation of results, communication of assessment results to stakeholders, procedures for developing individual education plans and programs, behavior support plans, evaluating instruction and monitoring progress, planning and managing age-appropriate learning environments and classroom management strategies. The test will also cover use of technology, principles and methods of curriculum adaptation, development of instructional content, methods of individualizing instruction, promotion of language and communication skills, age-appropriate social competence, appropriate expectations, implementing positive behavioral supports and interventions, acquisition of functional living skills, transition support, collaboration with family members, partnerships with schools and the community, historical and legal foundations of autism education, federal and state rules, philosophies, professional resources, legal and ethical guidelines, and effective advocating. In order to effectively study these concepts, you need a solid plan in place. There is so much to learn, but fortunately, there are study materials that can help you succeed. 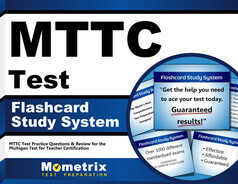 The Mometrix Test Prep Team has developed the MTTC Autism Spectrum Disorder Practice Test, which mimics the real thing. You’ll get a better understanding of the exam and have the ability to assess your strengths and weaknesses. This will allow you to study more efficiently. Another useful tool is the MTTC Autism Spectrum Disorder Test. This valuable resource will pinpoint exactly what concepts you will need to study and help you manage your time so you’ll be prepared for test day – without the added stress.